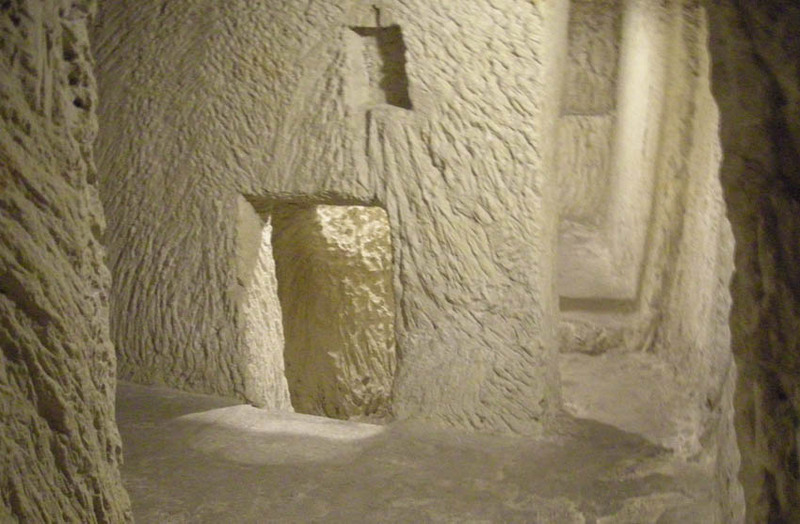 The Malta at War Museum is a rather special museum as it it located in an old air raid shelter, which has been carved into the cliffs as a huge set of underground tunnels. The tunnels can be explored and you can get an idea of how life was here during the German air raids on Malta during World War II. 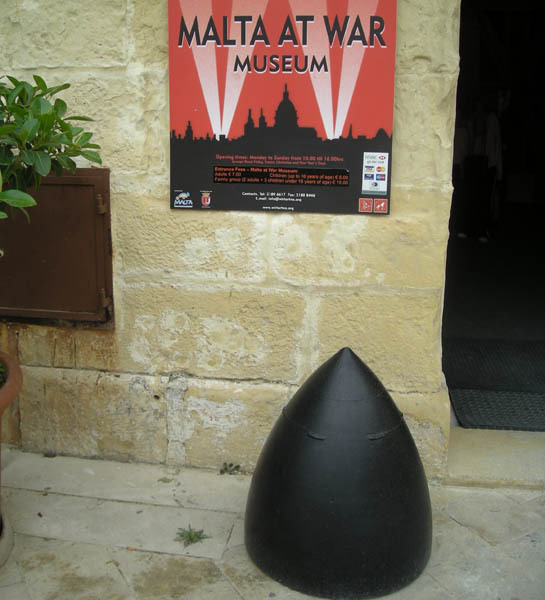 The entrance to the Malta at War Museum. 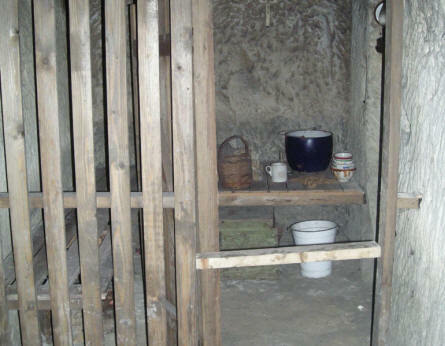 a part of the underground air raid shelter at the Malta at War Museum. 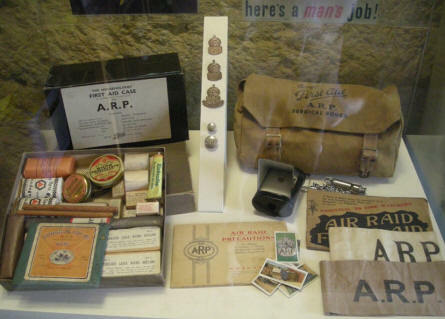 First aid kit and air raid "stuff" at the Malta at War Museum. 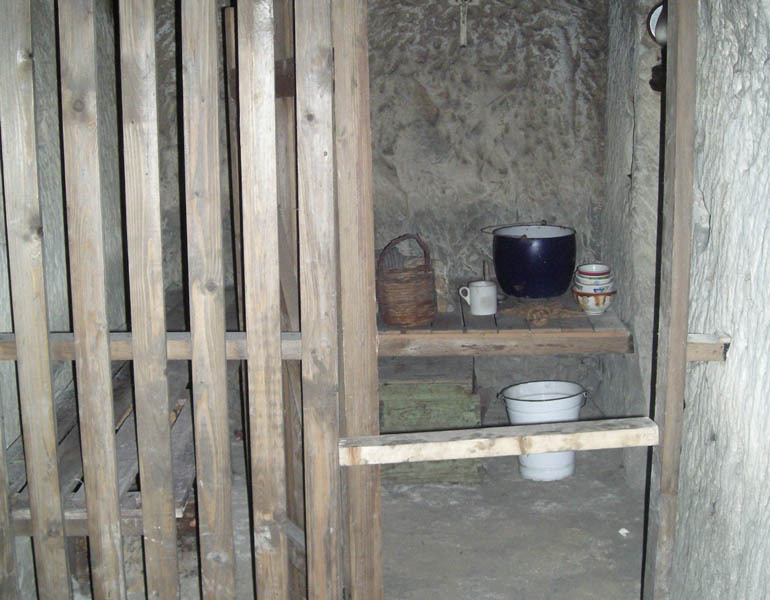 a part of the underground tunnels at the air raid shelter at the Malta at War Museum. 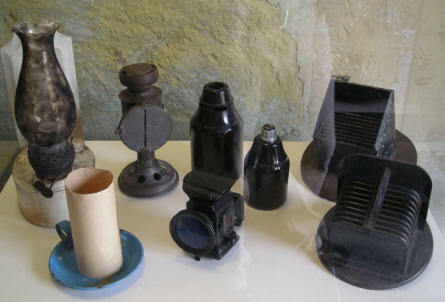 Air raid "stuff" at the Malta at War Museum. 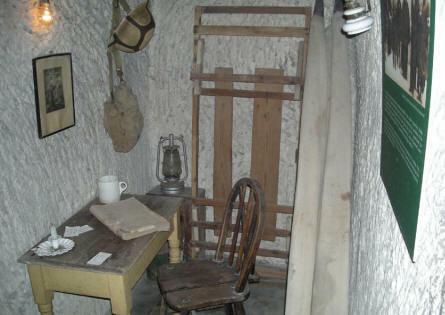 A guard room at the air raid shelter at the Malta at War Museum.